Aspect™ empowers you to create relevant programming and advertising that attracts, builds, and retains audiences. Put tomorrow’s technology in your content today. Accelerate next generation TV value. Aspect provides direct access to 1st party census level data at the device level, cross-screen, and across distribution environments. Augmented with demographic and psychographic data, Aspect Analytics arms you with unparalleled audience insights. Aspect provides insights at the national, DMA, and segment level. Aspect enables a pro-active response to changes in audience usage by delivering accurate measurement of campaign performance, and program and advertising engagement. Aspect delivers advanced advertising on broadcaster content where the bulk of television ad units are; and reaches viewers across distribution platforms with uniform next generation TV features. Inserting audience-based, addressable advertising into your national inventory makes you more responsive to marketers’ demands for efficient, effective, accountable audience reach. 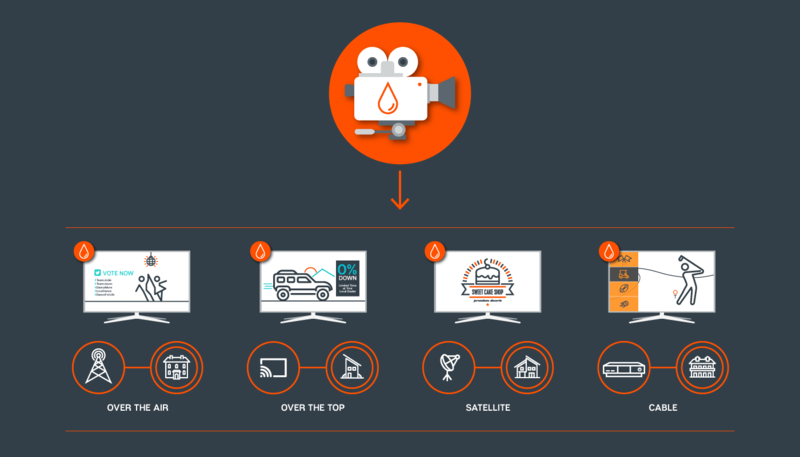 Aspect activates broadband capabilities to provide viewers with advanced features uniformly across devices and platforms, enabling broadcasters to connect with millions of viewers on TV in the personalized, dynamic ways they’re accustomed to online.